Joel is responsible for vinyl rail and fence sales. He oversees the installation process and schedules installations as well as fabrication. He occasionally estimates screen rooms and sunrooms. 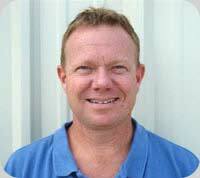 Joel holds a certificate of Master Craftsman in vinyl siding and is a licensed contractor. Joel brings with him 17 years of construction knowledge and management. He worked as a Superintendent for Pulte Homes in Charlotte, NC before framing with McGee Bros. He attended Michigan State University where he studied Building Construction Management. In his off time, Joel loves to spend time with his family. He also likes to swim. He swims competitively for Grand Strand Master Swim Team (GSMS). He grew up in the pool and has continued his love for the water.